Clothing Business is another profitable business ideas indeed. Are you willing to make money with something that you love to do? Are you a fashion designer by heart? Then clothing business is the best option for you. Clothing business isn’t an easy or glamorous endeavor. It is tough hard work that pays off successfully if you are willing to give it all and enjoy what you do. Plan your business ideas. You should keep in that without a business plan in your head it is fish without water. Make your plan short. Do not make it lengthy, this way you will just confuse yourself. Your plan should be of one-two pages at most. You have to first determine what type of clothes you want to sell. You could sell a particular niche of clothing, such as children’s clothes versus clothes in general. Or maybe you could sell clothing items in which you are interested or have product knowledge. Organize your business. You will be needing to obtain a vendor’s license through your city or country’s administrative office, as you will be needing to collect sales taxes from in-state customers. Consult a tax specialist or lawyer to find out the advantages of each type tax structure present. You would want to think if you want to sell your products retail or wholesale. Marketing your business is the must. Open up a website of your own. Put up banners and give away pamphlets in your neighborhood. Open pages in Facebook, Instagram, Twitter and so and so forth. This way will be more reliable and people will come to your shops after buying clothes from you online. You could hire a search engine optimizer to achieve a first-page ranking in search engines including google.com and yahoo.com. A great online presence is very important. Hire your employees wisely. 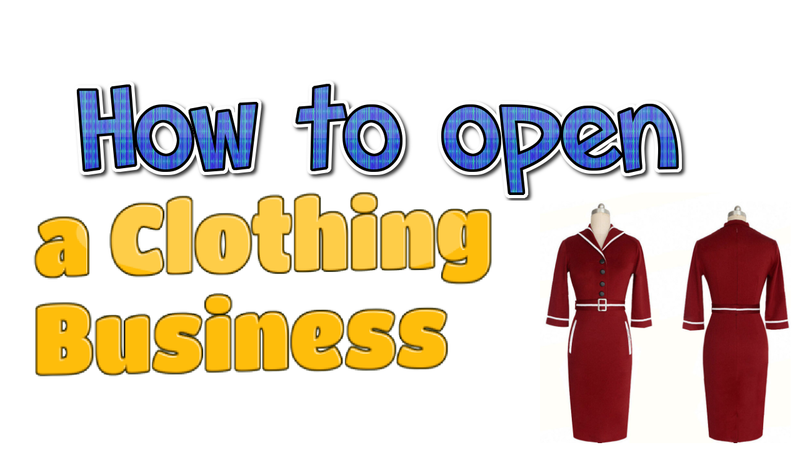 In order for you to have successful clothing business, you will need to be trained employees. They must know how to behave with your customers, attract them and with their sweet talks maybe convince them into buying two or more clothes, whereas they planned to buy only one. Lack of training might put you in a big loss. Because this way, they might chase some of the customers away. You must know how to make a profit of your clothing business’s success. Fixed prices are those that cannot be changes and variable prices can be varied. Profit comes from revenue than that of fixed prices and variable prices. This may include buying types of equipment. To ensure profit you must establish wholesale and retail rates higher than the expenses. Location. Location of your clothing business must be on a place with too much traffic so that you get more customers. Therefore, If you want to compete with your fellow competitors you can locate your clothing line around the other clothing lines. Or maybe you could isolate yourself and locate yourself somewhere far. How to Strat Clothing Line Business. These are few ways by which you can open up a clothing business of your own. You can design your clothes at the start but then you might not have the time to do so. First, listen to your customer’s feedback. The next, know what they want from you. After embracing the criticisms and move forward with a fine level of confidence.